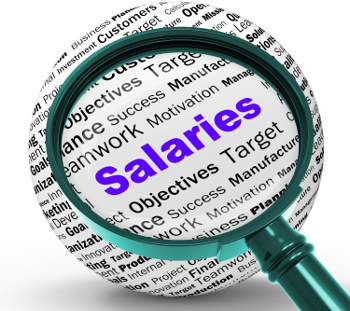 You don’t blab about how much employees are being paid. That would violate the first rule of Payroll management. That discretion, however, generally doesn’t apply to other employees. In those instances, employers’ policies often prohibit employees from discussing their pay among themselves. Snarl: States and the federal government are cracking down on these confidentiality policies. No union, no problem. There’s good reason for these types of confidentiality policies. After all, you don’t want to cause discord, if, say, an employee discovers that he’s being underpaid for substantially the same work as another employee. However, Section 7 of the National Labor Relations Act protects all employees, even nonunionized employees, who join together to improve their wages, benefits and other working conditions. So, employees can discuss their pay and benefits among themselves, provided they’re working together to improve them. The National Labor Relations Board (NLRB), which enforces Section 7, has taken aim at employers that have pay confidentiality policies. State laws fill in the gaps of what Section 7 doesn’t cover. These laws generally prohibit you from making pay confidentiality a condition of employment, requiring employees to sign waivers or other documents whose purpose is to deny them their rights to disclose their pay, or firing or retaliating against employees who do discuss their pay. A baker’s dozen of states—California, Colorado, Connecticut, Illinois, Louisiana, Maine, Michigan, Minnesota, New Hampshire, New Jersey, New York, Oregon and Vermont—have such laws. More states are signing on each legislative session. MUM’S NOT THE WORD: In light of the broad protections offered by Section 7 and state laws, it’s prudent to review all employee documents, including handbooks, engagement letters, performance appraisal forms and job applications and remove references to pay confidentiality. Surf’s up: The NLRB has a new mobile app for iPhone and Android users, which provides employers and employees with information regarding their rights and obligations under Section 7.